S study the symptoms in the above image to see if you can relate. Here’s one certainty, if you take Pharmaceutical drugs regularly such as Steroids, Chemotherapy or have been under Chronic stress, you will have leaky gut and it will be affecting your quality of life! Leaky gut syndrome ‘the condition your Doctor never heard about’ happens when your intestinal lining has become damaged as a result of inflammation, irritation or SIBO (Small Intestinal Bacterial Overgrowth). Drugs, alcohol, gluten, processed foods, bicarbonate of soda, Antacids, Candida and physical, chemical or emotional stress can result in damage of the lining of the gut wall. Leaky gut can also result from internal toxicity due to an imbalance of bacteria and yeast, which is called ‘dysbiosis‘. This is a problem because food particles and toxins from the gut are released into the bloodstream, triggering an auto- immune response. A huge toxic burden is imposed on the liver. The liver is overwhelmed by digestive by-products, toxins and inflammatory irritants, and other organs are affected as well. When this happens, the lining of the gut becomes full of tiny holes, like swiss cheese, or a leaky bucket. In many places, the lining of the gut is just one cell thick, so leaky gut or ‘intestinal permeability‘ can easily happen. If you have been dealing with a ton of food sensitivities, and seem to be getting more sensitive to more foods all the time, it could be leaky gut. Instead of doing extensive allergy testing, we would recommend healing the gut, and sealing up those leaks. The food is not the only problem: the problem is that the food you eat is escaping into the bloodstream and triggering an immune response, however we need to remove the most reactive foods from your diet while you heal (LOW FODMAP Diet), this can take as little as 6 weeks or as long as 6 months, it depends on how strictly you can follow the diet and the steps.. Gut Bacterial imbalance that can be a result of stress, food intolerance like gluten, chemotherapy, foods fortified with folic acid, pro-inflammatory foods like trans fats, processed foods and sugar. This will most often lead to leaky gut where the micro villi in the intestinal walls become enlarged and damaged. This will lead to generalised systemic inflammation and result in the body’s need to raise it’s cortisol levels. Continuous high levels of cortisol puts an added burden on our liver to deal with the every day burden of environmental toxins and since all our hormones are metabolised in the liver, this can set us up for problems like oestrogen dominance! fortunately the supplements in the Magic protocol assist the liver to detoxify oestrogens. This means that every hormone in the body is affected. Our thyroid won’t work as well and most significantly, this can slow down the CYP Enzyme pathways in the liver that can set us up for hormone related cancers. The aim is to heal and seal the gut, reduce systemic inflammation, and free up the liver to deal with its role of detoxification of harmful substances and metabolism of hormones. We add particular vitamins and nutrients to bring about better detoxification and metabolism of hormones and help to optimise glutathione levels in the process. Our B vitamins and NAC plus the addition of coffee enemas can have a profound effect on how well our liver is functioning. We can also enhance this process by protecting the liver from harmful environmental toxins like xenoestrogens from BPA (plastics) and toxic cosmetics that have numerous hormone disrupting chemicals, and minimising exposure to EMFs where possible. Also important is to ensure adequate levels of choline in the diet to ensure good cell membrane structure and optimise the process of metabolising hormones! 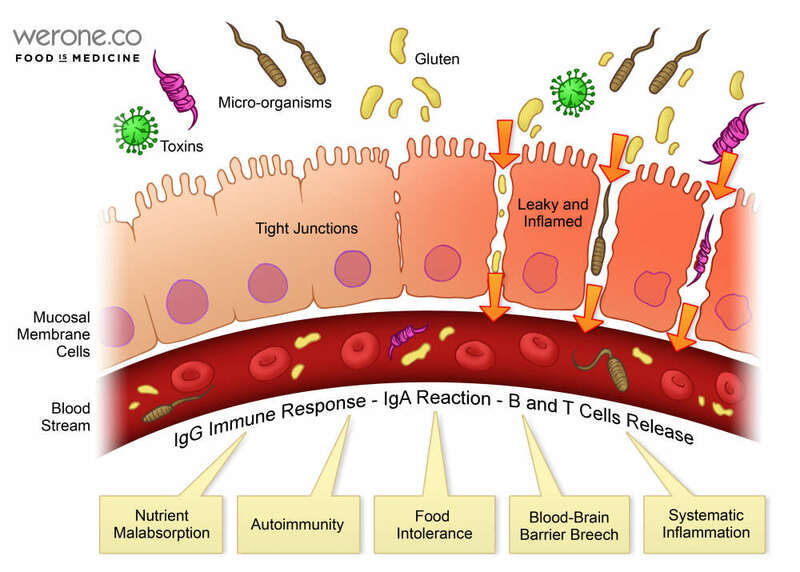 Millions of people suffer from gastrointestinal symptoms and distress each year Diagnosis of leaky gut syndrome, Crohn’s, Celiac disease, Irritable Bowel Syndrome (IBS) and Small Intestinal Bacterial Overgrowth (SIBO) continue to grow and confound researchers who still can’t quite put their fingers on why our digestive systems are under stress. We’ve put together a simple resource to take you step by step through the difficult task of identifying and resolving long-term digestive disorders by providing you with the know how and the materials to help correct your GUT dysbiosis. The HUG PLAN will help you take out the foods that are most irritating to the gut such as gluten, sugar, alcohol and processed foods and the 6 week period will help you develop better eating habits such as chewing the food more and eating smaller meals. 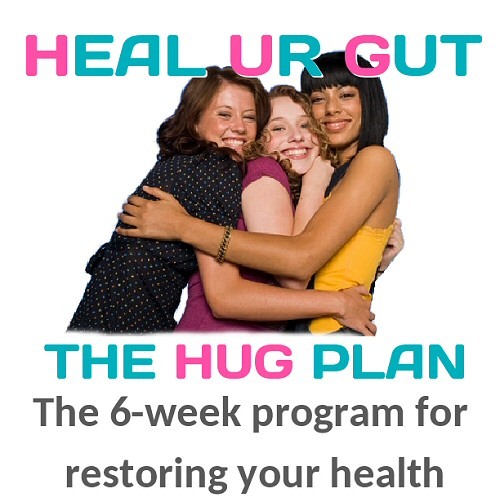 The herbal antimicrobial supplements on the HUG PLAN will help to get rid of bad bacteria (SIBO). The digestive enzyme supplements on the HUG PLAN will help you to break down the food you are eating and clear undigested food. The vitamins and nutrients in the Hempamine shakes can help with deficiencies while the healing is taking place. The Glutamine, bone broths & Colostrum will help to heal the lining of the gut. We’ve put together a simple resource to take you step by step through the difficult task of identifying and resolving long term digestive disorders by providing you with the know-how and the materials to hopefully correct your GUT dysbiosis. Here are the Hug Ingredients and the 3 – phases. How Does Vitamin and Mineral Inadequacy Accelerate Aging-associated Disease? Disease names designed to mislead but ultimately to sell drugs. Thrive – What in the world will it take?